The verdict is in. We (well, most of us anyway!) 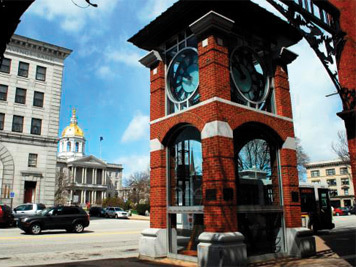 have declared victory on the results of Concord’s downtown renovation. Investing in a destination downtown resulted in new businesses, restaurants, market rate housing and new entertainment venues — with more to come. Outdoor dining is flourishing. Several impressive pieces of public art are now part of Main Street’s appeal. We have talented and dedicated buskers regularly serenading increased pedestrian traffic. We’ve expanded the tax base. By all accounts, this investment of time, treasure and sweat equity has paid off. So, what do we need to do next to sustain this forward momentum? Ensuring we maintain a healthy balance of retail, entertainment, hospitality, housing and office use downtown is critical. We’ve created an atmosphere that’s attracting all kinds of new professional businesses. That’s great! But it is very important that we don’t lose sight of what is attracting more people downtown, including visitors from out-of-state that come here to enjoy what downtown has to offer. While non-retail businesses provide a healthy daytime population that supports all local businesses, we need to consider what makes downtown attractive to visitors and after-hours activity. Things to do. Dining. Tax-free shopping. Entertainment. Lots of options. The redesign of I-93 through Concord has the potential of being a true game changer. Improving our city’s image from the interstate will go very far in terms of marketing this community to the hundreds of thousands of travelers visiting the state. While the main goal of the D.O.T. will be to improve the flow of traffic through Concord we, as a community, need to seek ways to broaden that mission to improve the landscaping, create improved access to the Merrimack river (a truly underutilized recreational asset) and transform the exit 14 gateway with attractive commercial redevelopment. The highway sheds need to go! Finally, we need to do a better job of telling our story. While we’ve made progress over the past few years promoting the Greater Concord area as a cultural center for the State—through the Chamber’s new website, increased social media outreach, blogs, forums featuring creative economy panelists, and Creative Concord initiatives like Capital Arts Fest 2017 , VisitConcord-NH.com and art installations on Main —we’d like to see more traction. Room for improvement includes promoting assets that go well beyond downtown like Concord Heights, Penacook Village, ready access to the state’s main highways and thoroughfares, more than 65 miles of trails and tons of pristine open space. 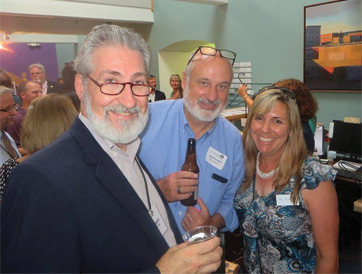 This work of promotion fits nicely within the mission of the Greater Concord Chamber of Commerce and we’re excited to take on this challenge. You can help! If you haven’t connected with us on social media, follow us and share our posts—links are located in the upper right corner of our website . If you’re not on social media and enjoy writing or videography, we’d love to hear from you. Bloggers are contributing great content to our www.VisitConcord-NH.com website and helping the world get to know the fantastic resources the Capital region offers visitors, residents, employers and NH’s future workforce. Pick a topic and draft an outline. We’ll help you with revisions and share it widely with as many audiences as we can reach. More to come! Tim Sink is the President of the Greater Concord Chamber of Commerce and a Concord resident.